Roses have always been a favourite flower for me. In the past I have painted these naive Folk Art designs and I think they continue to have appeal. 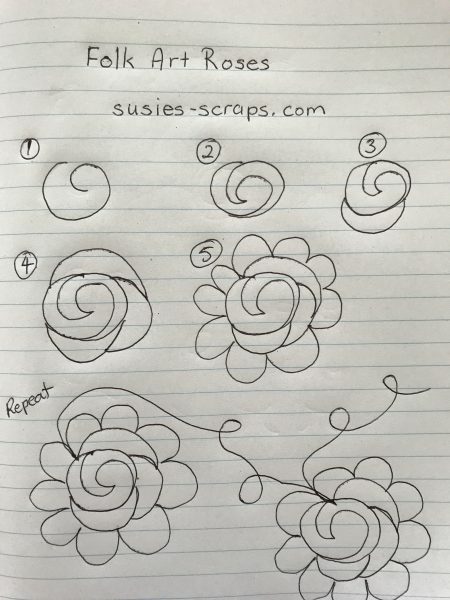 The challenge for free motion quilting is to create a free flowing continuous line design. This can be done in a realistic perspective, but it’s also a fun design to make the more stylised Folk Art design. That’s what I decided to do for this quilt. 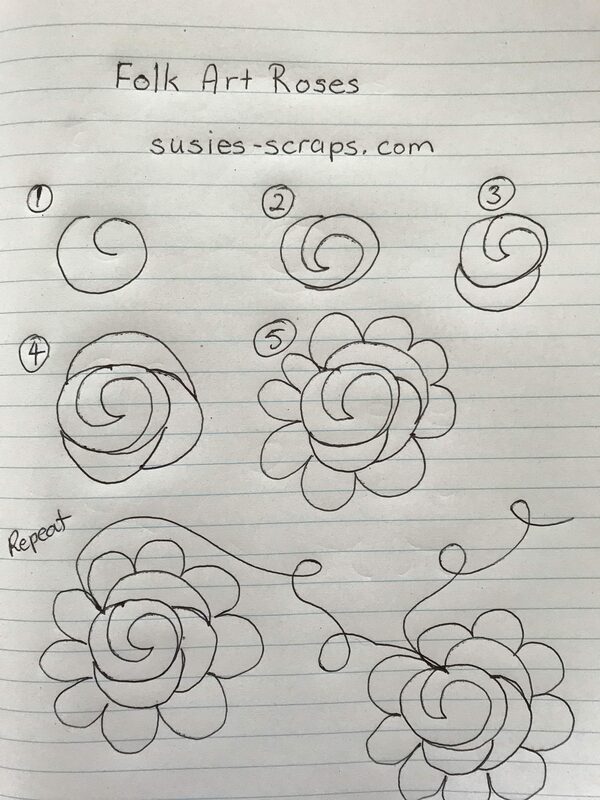 It’s an enjoyable design to do for FMQ and for scrap quilts. It can be done as an overall design. As always, I will draw out the design on paper. I will practice drawing it until it becomes an easy memory. Then I will go to the machine to make a practice piece. Once I’m satisfied that the machine is performing correctly the I will start on the quilt proper. Today I’m quilting on a Singer 201k treadle C1947 treadle. I was surprised how easily this machine adapted to FMQ. It was not necessary to drop the feed dogs. I fitted a simple low shank darning/ embroidery foot. Using gloves is essential. Here is a closer picture of the roses. 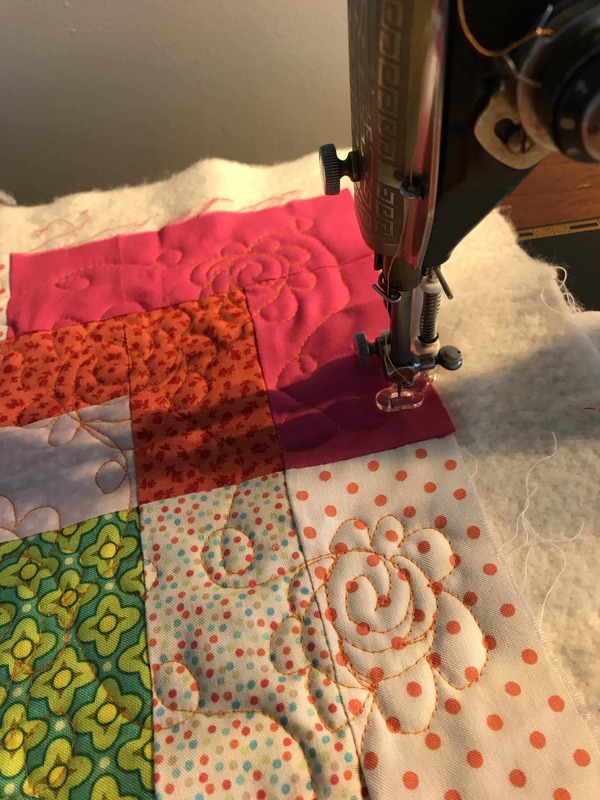 Scrap quilts are excellent to practice free motion quilting on. 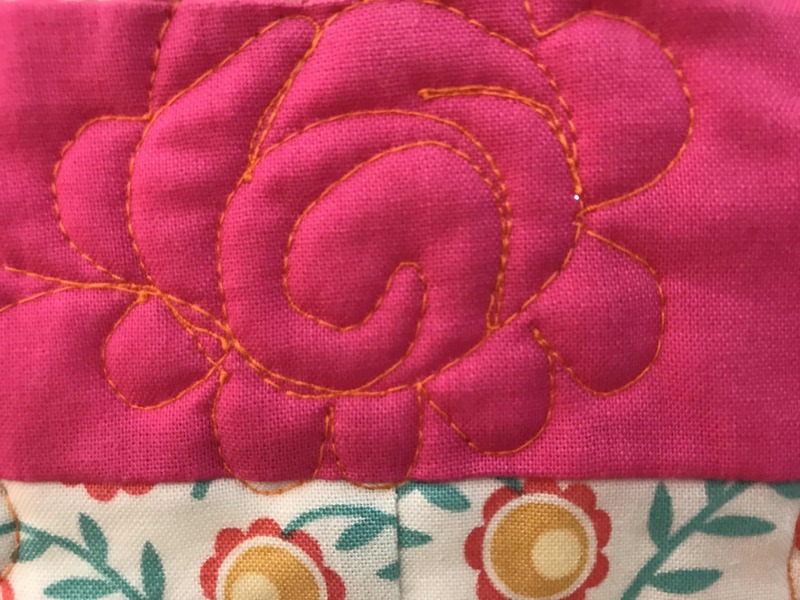 After all, mostly it will be adding texture to the quilt. 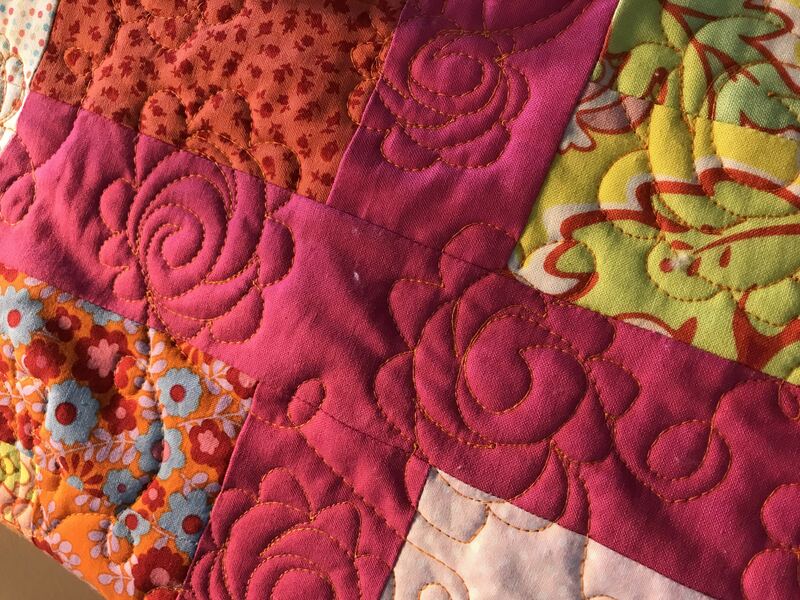 Thiis is the Antique Tile Baby Quilt which I’m finishing. 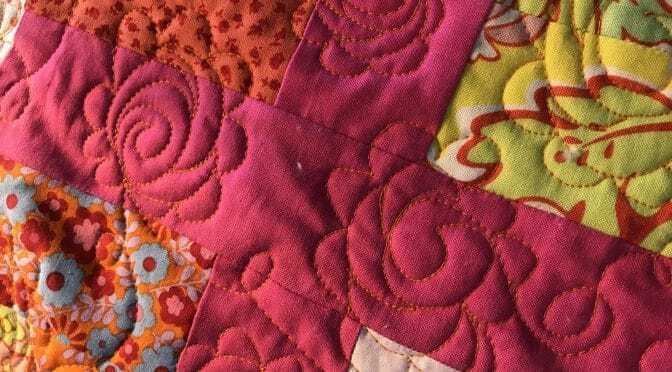 If you enjoyed this post you may also like Quilting Strawberries.